Zero-waste fashion received a ringing endorsement this past fall when Parsons the New School of Design launched one of the world’s first courses on the subject, with zero-fashion expert Timo Rissanen as instructor and Loomstate’s Scott Mackinlay Hahn and Rogan Gregory serving as mentors. Parsons highlighted the new course of study on Tuesday with a showcase of student projects that explored the possibilities of zero-waste denim as a fully realized garment. The winning design, announced that evening, belonged to Andria Crescioni, whose elevated twist on the humble poncho will be produced—and sold— as part of Loomstate’s Fall 2011 collection. In the class, which spanned 15 weeks, students learned the intricacies behind zero-waste design, along with the subtleties of working with organic-cotton versus conventional denim. 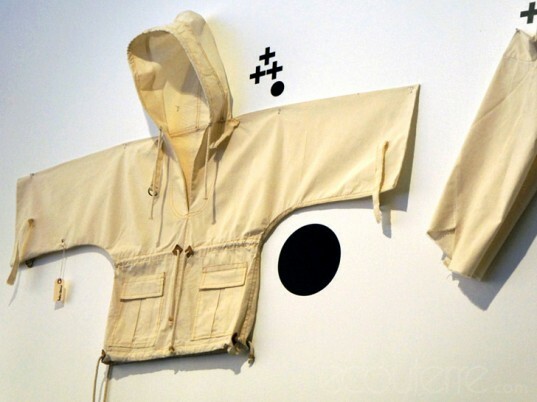 Loomstate founders Hahn and Gregory instructed students on issues such as sourcing, dyeing, finishing, and energy consumption, and they’ll also see Crescioni’s through the development and production of her winning piece. Loomstate’s Hahn and Gregory instructed students on issues such as sourcing, dyeing, finishing, and energy consumption. Our heartiest congratulations to Crescioni on her winning anorak! With courses on life-cycle extension and sustainable care practices beginning in spring at Parsons—as well as an upcoming collaboration with the Solar Decathlon to design an eco-wardrobe—we look forward to seeing even more inspired designs from the upcoming generation of designers. 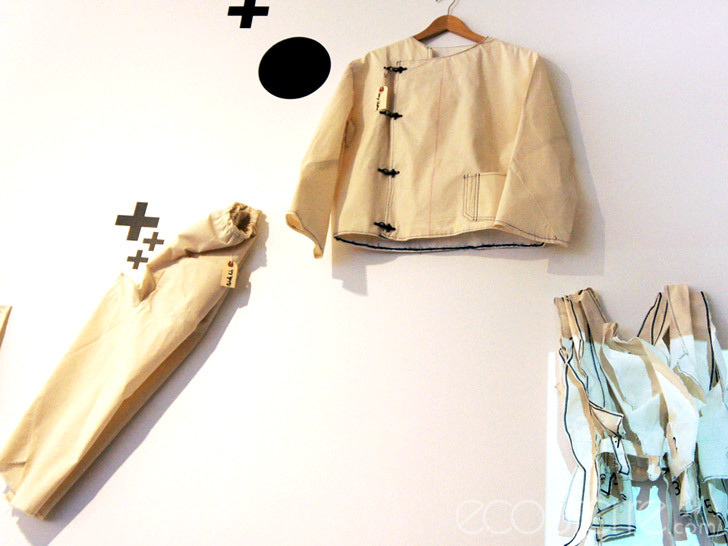 The zero-waste exhibit will be on display at the Sheila C. Johnson Design Center at Parsons through Feb. 23. Other muslin design patterns created through the student competition at Parsons The New School for Design. Scott Mackinlay Hahn of Loomstate, who launched the well-known sustainable brand with Rogan Gregory in 2004. One of many muslin prototypes used in the students' design processes. Loomstate's Scott Mackinlay Hahn, announcing winner Andria Crescioni. Designer Bahar Shahpar mingling with one of the student's zero-waste designs. The winning andorak design by Andria Crescioni, alongside Simon Collins, dean of the School of Fashion at Parsons.